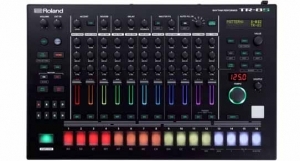 Roland TR-8s born of the most famous and influential drum machines ever made, the TR-8S combines the best of its Roland heritagewith modern production techniquesand professional sound design. The result? A forward-thinking, performance-tuned instrument unlike any other. Build your dream kit from the most iconic drum sounds of all time,plus the finest selection of samples from our vast library—or import your own custom samples. Tap, tune,and tweak with hands-on controls and production tools that make your patterns move and groove. And why keep this kind of percussive power confined to the studio? The TR-8S was literally madeto play live. 상품 청약철회 가능기간은 상품 수령일로 부터 15일 이내 입니다. 상품 택(tag)제거 또는 개봉으로 상품 가치 훼손 시에는 15일 이내라도 교환 및 반품이 불가능합니다.